The San Diego State Aztecs kicked off a much anticipated 2015-2016 season with a victory over a familiar exhibition foe in Cal State San Marcos. The 86-48 victory could not have come sooner for San Diego sports fans. Many Chargers have cycled through the five stages of grief enough to create a sixth, the Padres are searching for a new manager after a failed attempt at buying wins this past season, and even the SDSU basketball program, a safe haven to the sports fans of America’s Finest City, came under fire for alleged NCAA violations. Looking past the drama to the basketball product, fans finally had a chance to join together in a sigh of relief. The Aztecs are the ticket in San Diego, and they are the team in San Diego. 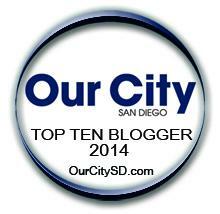 I’ve been saying it for 3+ years now, but I think the rest of the city has now fully embraced that fact. It’s not a bad thing for a college basketball team to be the most important team in town. Fisher believes Pope will be fine, but Aztec faithful have reason to worry until he is back on the court playing big minutes. The likely 2016 NBA lottery pick (Yes, I’m citing myself. Journalism!) hasn’t played a full season in 4 years. The coaching staff brought Pope along slowly last year; fans can expect more of the same this season. Winston Shepard played like a preseason conference player of the year ought to, scoring 22 points on 15 shots to go along with 6 rebounds and 5 assists. Shepard, a three-year starter, has been berated, beaten down, misunderstood, and under-appreciated since he began his college career in San Diego. All that scorn seems to come as fan-induced, necessary baggage for a 4 or 5 star recruit. The maturation of Shepard has been a special process to witness. Players with his level of talent don’t stick around long enough for this to occur in most places. I enjoy listening to him giving interviews and answering questions in post-game pressers. He is genuine and puts thought into what he is saying, now remaining ever-cognizant of the fact that he is a team captain for a team carrying a heavy load of expectation on its collective set of shoulders. Winston Shepard hasn’t muzzled himself when asked about his expectations for this team, and Steve Fisher doesn’t roll that way, either. The words “Final Four” have been spoken aloud by many members of the program. But Shepard didn’t return to school for his senior season to talk about himself or become the player other people want him to be. Here, he’s referring to Malik Pope as one of the lead dogs of this team which doesn’t come as a shock to Aztecs fans, but we aren’t looking at this team through the same lens as the rest of the basketball world. Malik Pope hasn’t been a leading scorer or all-conference selection yet. Shepard has. And yet, I don’t think we’ll be seeing any power struggles or griping over touches. Coach Fisher often comes back to one of his favorite sayings, but it really could be described best as a mindset: “The team, the team, the team”. 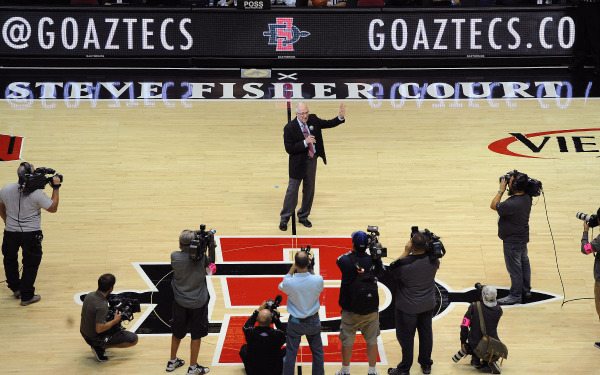 To be a part of Aztec basketball, players have got to understand that the team comes first. Winston Shepard isn’t naïve; he watched from the bench as the team went on a 19-1 run to stun New Mexico and clinch the regular season conference championship in 2014. I’m not just ranting to fill up space since we couldn’t watch Monday’s exhibition on television or even hear it on radio (I’m not bitter about those facts, either). Finding an offensive identity and tweaking it to make it good enough to win games in March is the main objective for this program, knowing defense will always be prioritized. Guys that can’t defend won’t be on the floor, anyways. It’s a given with Fisher. Winston Shepard isn’t going to lead a Jamaal Franklin isolation-heavy offense. He’s not going to hit one dagger after another out of the pick and roll over an opposing big man as Xavier Thames did. He also isn’t going to be a post up hub from the blocks and elbows like last year’s version of J.J. O’Brien. He can’t do one of those things because he’s going to be counted on to do some of them all. Steve Fisher and his staff are malleable when it comes to coaching their offense. They’re going to identify their best player and adjust to maximize his strengths. We saw the best example of that last season with J.J. O’Brien. The offense was not running through him in November, but it slowly became his. Fans are going to expect the world from Malik Pope, and I am one of the biggest offenders. I think he would have been a lottery pick in the 2015 NBA Draft, and will be in the 2016 Draft if he chooses to declare. The problem for this Aztecs team in the present: There’s a large gap between his current ability and his overall promise. I have no idea what the team offense will rely on in late February, but I’m not expecting constant 1-4 clear outs for Pope. I believe a lot of the team’s scoring opportunities will come through Shepard and his wonderfully diverse skill set. If anybody is even still reading this far down the page, I will definitely dive even deeper into this once we’ve seen more basketball. I have a lot of questions beyond just Shepard and Pope. Can Trey Kell make shots? Will Zylan Cheatham be reckless enough to play himself off the court? Will Ben Perez play the most minutes of any reserve player this season? The coaches have probably been tossing around the same kind of questions. Now that basketball is being played, idiots like me can shut up and allow the players to answer them. Basketball is back in San Diego and I couldn’t be happier. Written by Benjamin Dull. Feel free to follow and interact with him on Twitter or read more from him on his blog.